The ‘boys’ in Team 1 (Luke, Rory, Anthony, Sam) were expected to be competitive, and like red-clad postmen, they duly delivered. 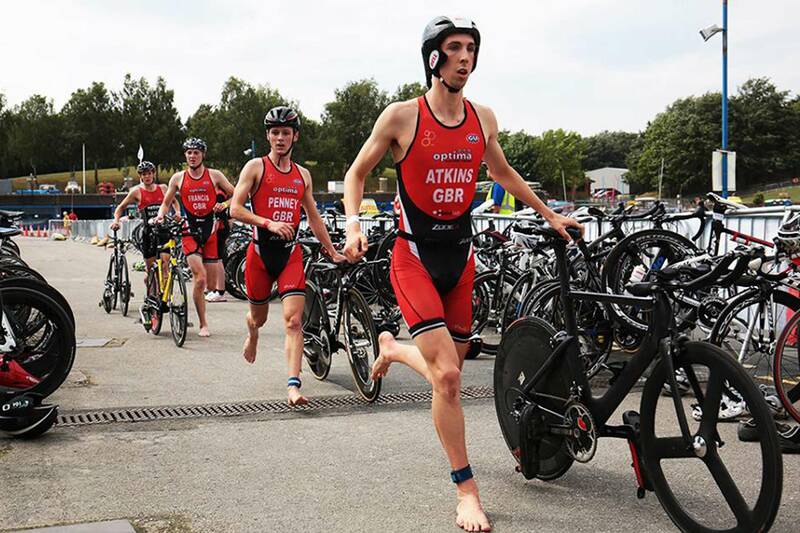 They led from halfway through the swim and didn’t look back, with Luke and Rory crushing the bike to build an unassailable lead so the rest of the race could be completed with half an eye on Sunday’s racing. Even so, they finished in 2:56 – an eye-opening time – 4 minutes ahead of second, and a new Course Record by 2 minutes in an event that has seen TOP teams racing every year. Hats off boys! 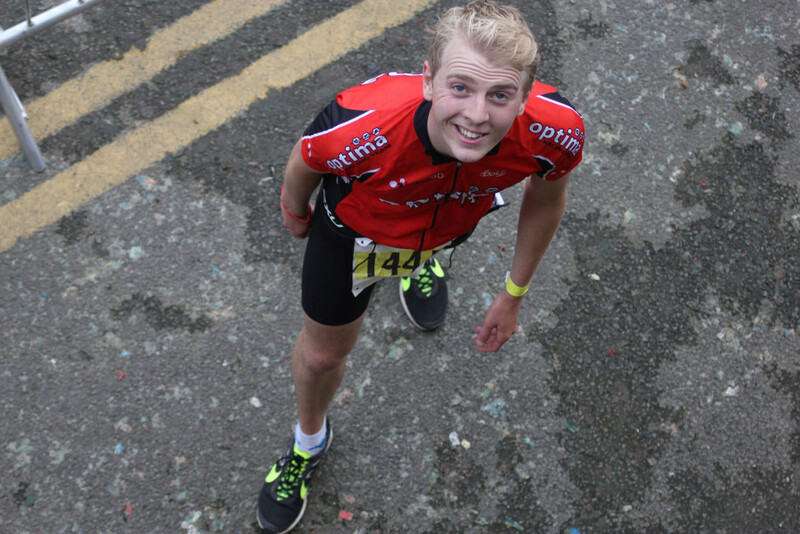 The slightly more senior Team 2 (Archie, Paul, Nico, Oli) were involved in more of a scrap (in more ways than one) – 5th out of the swim, the IM bike legs of Paul and Nico placed them well in a battle with Tricamp TFN & Army Tri for 2nd – 4th, and the whippet-like run legs of Archie and Oli saw them cross the line in 3:05, 3rd place behind Tricamp TFN (3:00) and just ahead of a hard-charging Army (3:06). 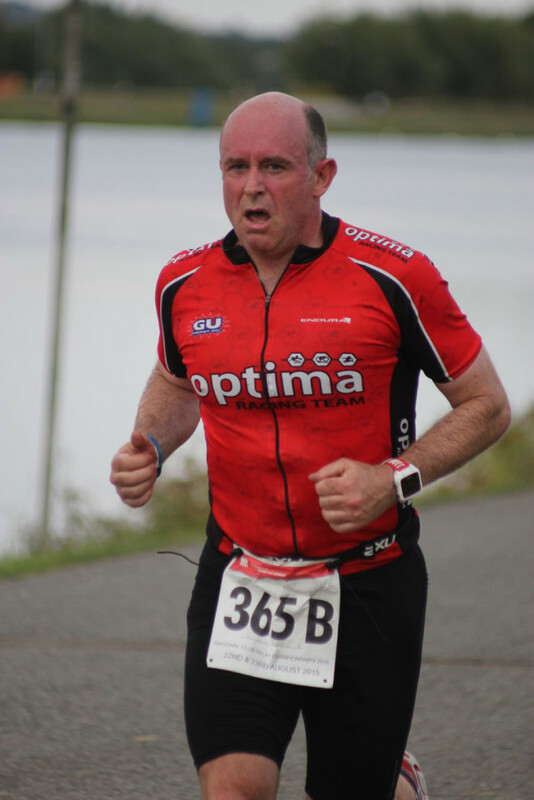 As Tricamp TFN are a ‘trade’ team rather than a ‘Club’ team, Optima were in fact the first two club teams across the line. 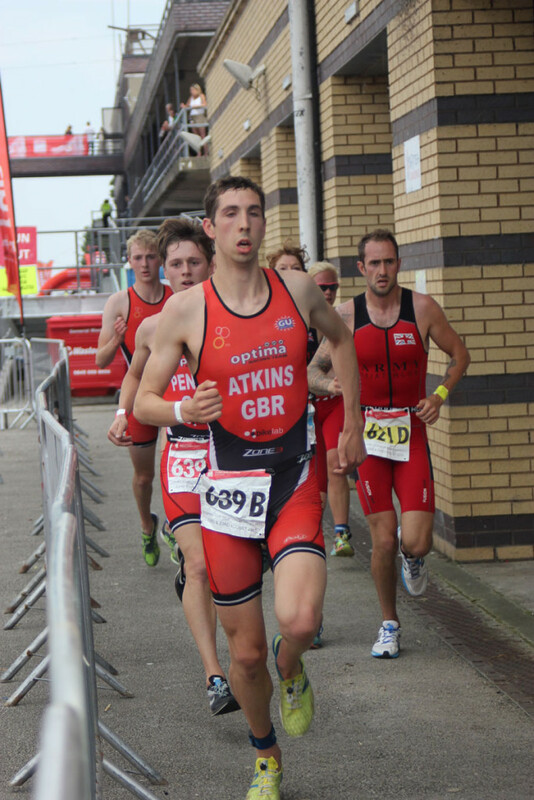 Finally, the even more senior Team 3 (Tom, Andy, Marcus, Chris) were consistent throughout, 39th out the water, still 39th after the bikes and up a place to 38th at the finish in 3:28, anchored home by supervet Chris as he preps for the worlds in Chicago. The joy of being 1st and 2nd Club home was a bit shortlived, however… Team 1 were incorrectly categorised as a ‘trade’ team (presumably they thought no real club that train together on a daily basis could possibly be so darned fast?! ), so the gold medals were given to 4th place Army. The mistake has been corrected and medals in the post. The gold medals were given to Army rather than Optima Team 2 because we were DQ’d for a transition infringement we considered unfair (especially in a race marketed as ‘organised chaos’) but as the penalty was a ‘judgement call’, the BTF rules don’t allow appeals! Oh well, that’s racing. We and our competitors know the result on the road. Team 1 saw 2 seasoned campaigners who’ve been members of Optima since day 1 (15 years, no less), James and Matt, join up with Anna and Hollie. The girls swam the team up to 7th before the team biked and ran through the field, finishing 3rd club in 3:25 behind BRAT and Arragons, in a nailbiting finish that saw the first 4 mixed club teams finish within 90 seconds. Massive thanks to the gutsy Anna and Hollie for racing through run injuries for the team. Team 2 saw newcomers Steve and Natalie race with Stuart and Katherine. 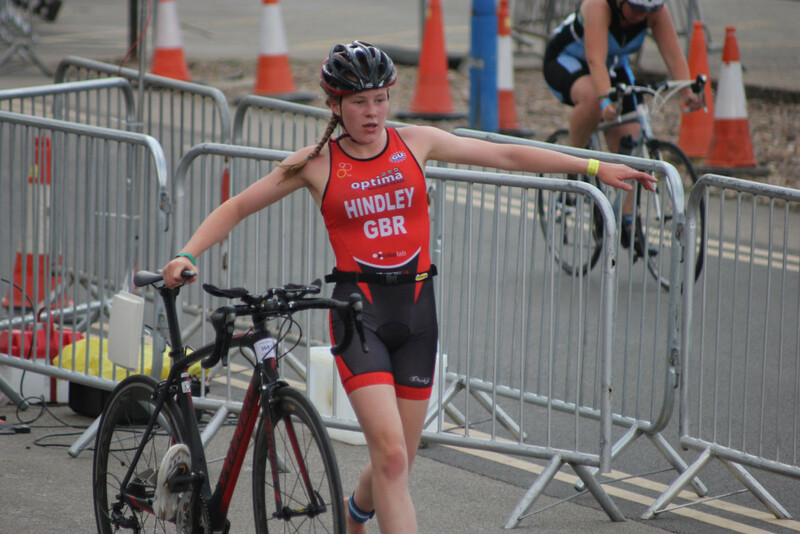 Natalie’s stellar swim and Steve’s run were the highlights in the team’s 3:53 for 44th place to round off a great day of racing. 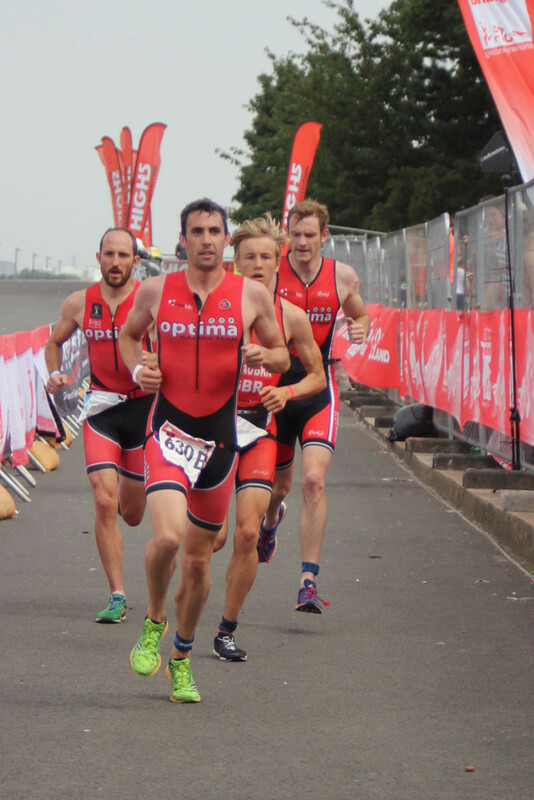 The same 5 teams lined up on Sunday, in a field that included a number of ‘trade’ teams, with big names including Olympic ITU hopefuls Adam Bowden and Tom Bishop racing for Jackpot Racing. 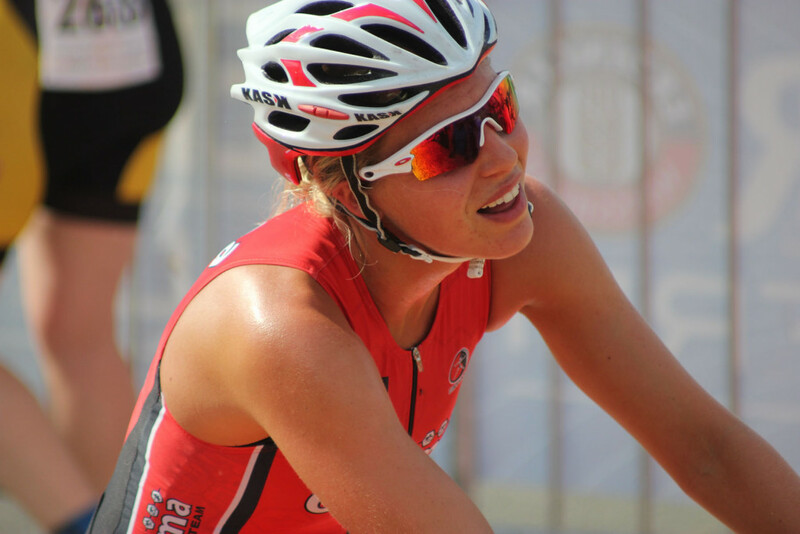 The fast and furious morning heats (250m swim, 5k bike, 1.5k run as ITU mixed relay style SBR-SBR-SBR-SBR) sorted the men/women from the boys/girls, with the top-10 in each category qualifying for the afternoon’s finals (team time trial format 500m swim, 10k bike, 3k run). The final was amusing stuff for spectators and agony for most of those racing! 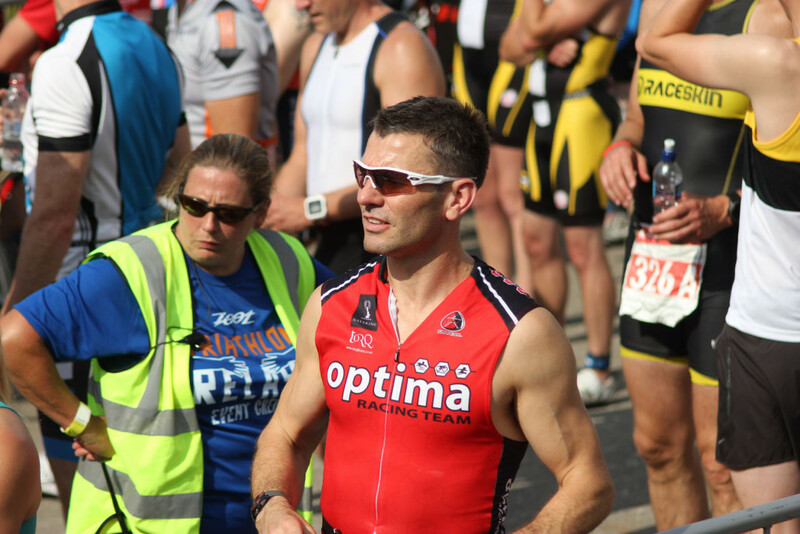 Every team had meticulous plans for the TTT format but, as warned by Coach JB, reality was more a case of teams working best to manage whoever was the weakness in each leg after a long day (or weekend for us!) of racing. The men’s final saw the boys battling it out with the big names from Jackpot and Racetime Events for the win. 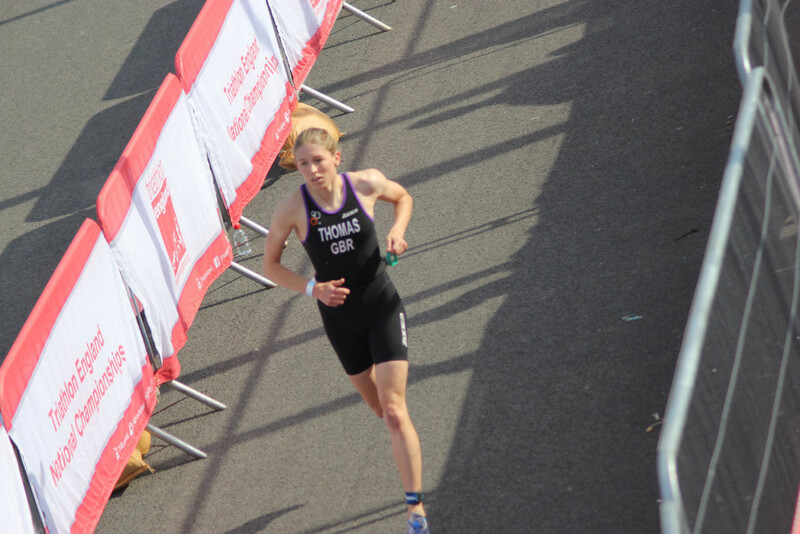 They lost marginal time to the best in each of the legs, but secured bronze in 32:58 from Jackpot (31:30) and Racetime (32:11) and were miles ahead of 4th. Team 2 had fun, buried themselves (and eachother), but tiredness and a lack of tactical nous saw them home 9th in 36:03. 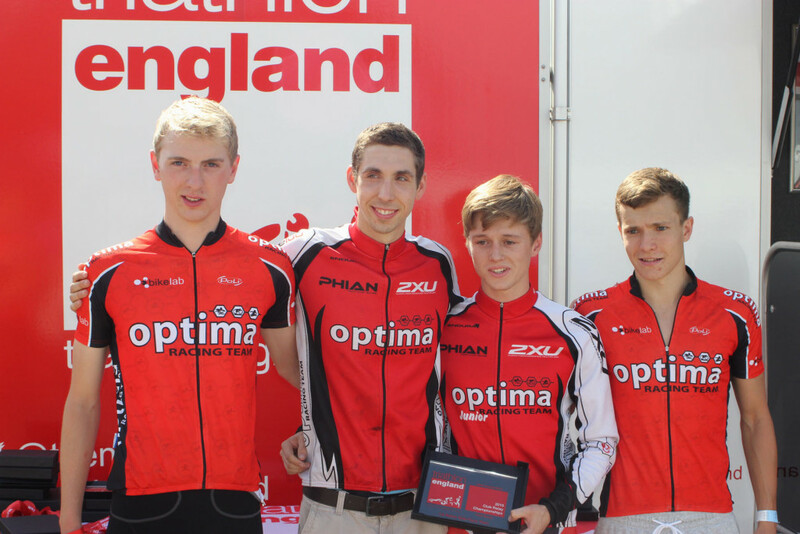 To cap off our weekend of podium woes, the boys weren’t awarded 3rd place until after the ceremony as there had been a problem with the timing – 3rd was initially given to Red Venom who were sportsmanlike in their willingness to hand the gong over to its rightful owner – Optima Racing Team, now officially the Fastest Club in England (despite what Triathlon England might think!). Special thanks to Steve and Andy for the amazing photos. 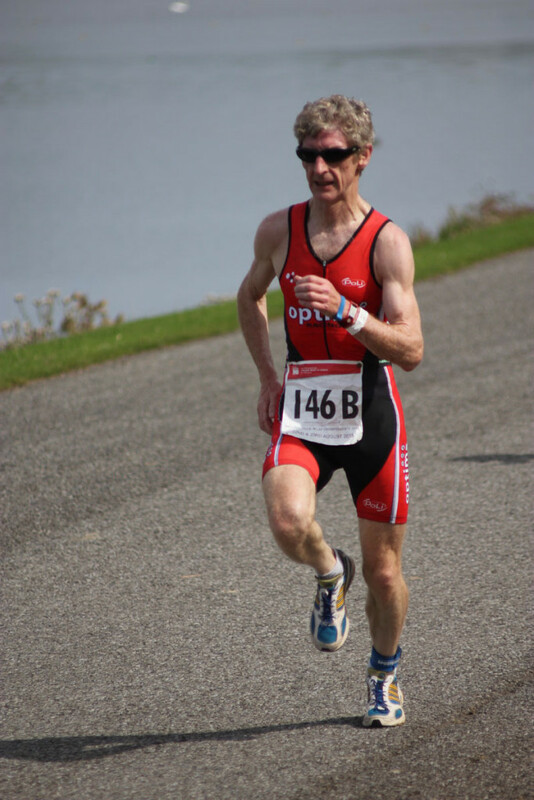 This race report originally appeared on the Optima Racing Team website.